← ocean and scraps galore. show samples and punctured finger. 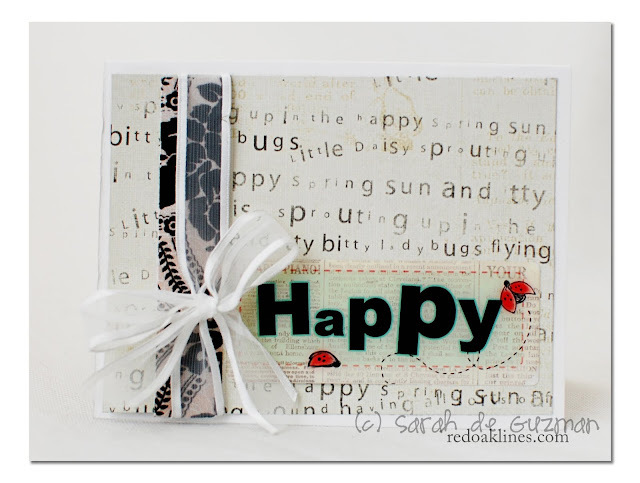 …and can you believe that I finished four cards from scraps?! I have no idea how I managed to do that. Hopefully, I have created enough samples to add to the booth. Otherwise, I’ll be up late tonight, and that is not something I’m looking forward to. (even when Hilo accidentally punctures my finger). No, it wasn’t his fault. No, he is not a violent and aggressive dog. It was actually my wrongdoing. I was playing tug-o-war with Maui, and Hilo wanted to play. 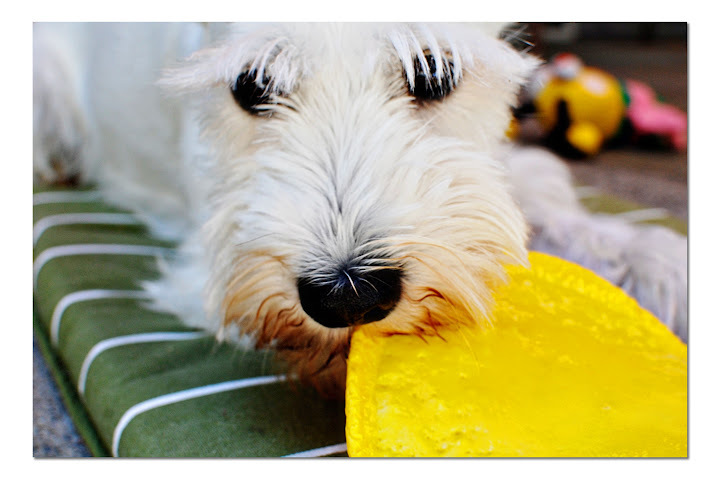 He decided to join in on the fun by clenching down on the frisbee. Too bad that he bit down on one of my fingers instead. YOWCH! 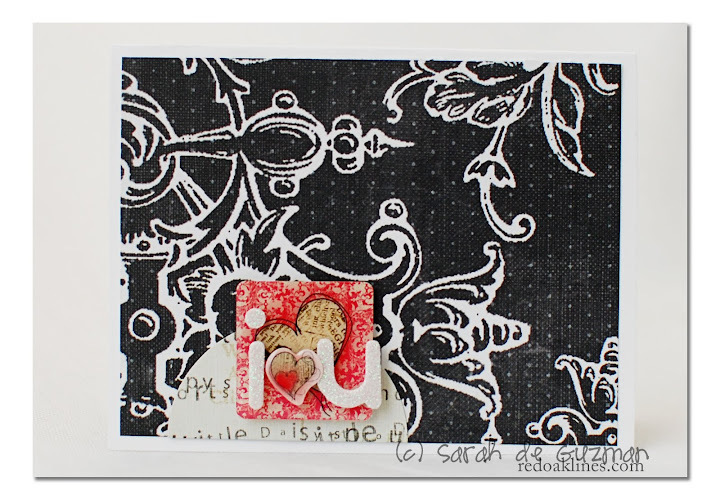 pretty cards…and your dog is so cute!! 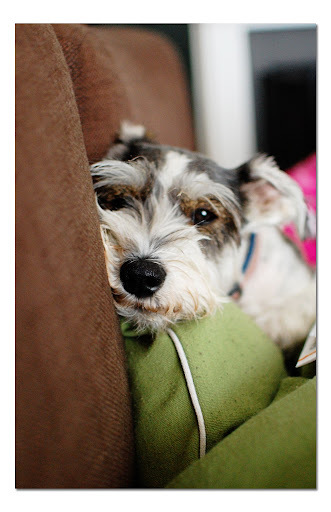 love the damask paper…and what is it about those doggy eyes, they kill me every time. our border collie can do that same pitiful look with such finesse! can’t wait for the news! Oh, NO about your finger! OMG I love that Halloween LO! The cards are fun! Doggies as cute as ever! First of all….. your babies are sooooo cute!!! I love your layout and your cards!!! Thanks for showing and sorry about your finger. Hope it heals fast. You have created some fabulous projects! You are fast! Sorry about your finger! Looking forward to your fabulous news!!!! 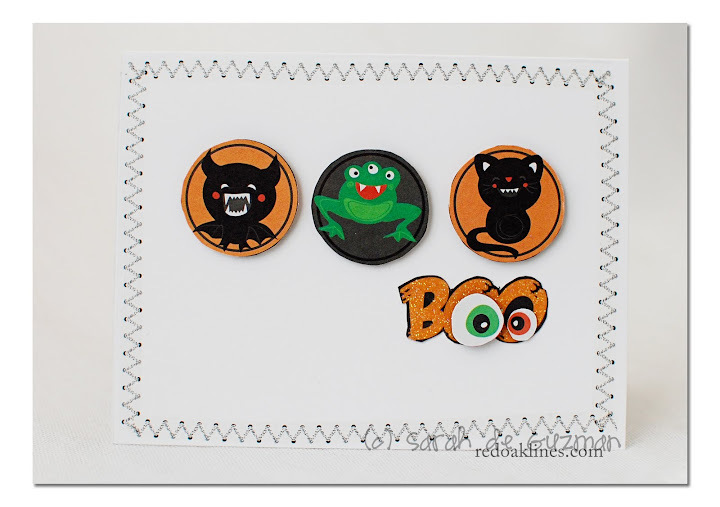 LOVE, LOVE, LOVE your Halloween page! Your pups are just so darling! Adorable Fur Babies! Mine are snoring right now. Congrats on the productivity! Love everything you create.. always nice and happy! ps: Did you receive my mail with my application for the DT of Kiki arts? Love your Halloween layout, Sarah! 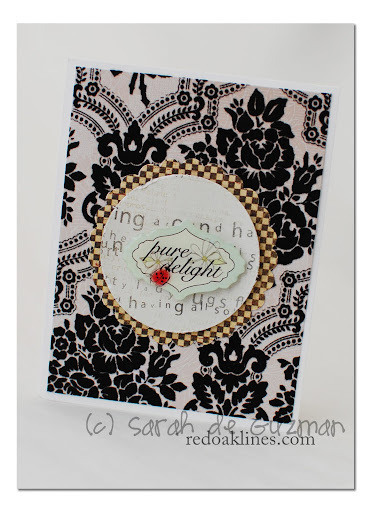 That spider web die cut paper is a must have! Your cards are great as well, geesh, it’s been ages since I made a card! psst…I posted an update on my blog! I just love your cute Halloween layout! The cards are all just great! The fur-baby pics are priceless – those adorable faces just make me smile. That Halloween page is TOTALLY adorable. And very cool that you made 4 more cards. Gotta ♥ that. Thank you for your sweet comment on my blog!!! CONGRATS on AC!!! Woo Hoo! Congrats on being on the AC design team!!!! Congrats Sarah on the AC DT! I just saw it!! Yay, Sarah, way to go girl!!! Congratulations!!!! Ouch! At least he’s so cute you can’t be mad at him. 🙂 Love the cards! What great projects and photos shared today!